The image and file upload buttons (I believe it's html5) do not work on some mobile browsers and a lot of old browsers. 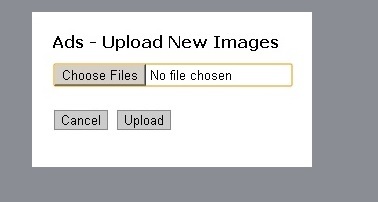 How do I change the image uploader and file uploader to use the old upload style (as shown in the image). We always work for updated version of browser, php and everything. We make our plugin compatible with the latest version not for the old version. But if you need any old feature then you have to customize the plugin becaue our plugin is now compatible with the latest version of WordPress so we can not use any old feature which will not match with the latest WordPress version. I am not asking you to modify the plugin. I would like to know what to change on “my” website to make it use the old style file upload. I have to discuss with my developer team about this. Please allow me some time. The topic ‘Switch To Old File Upload Technique’ is closed to new replies.